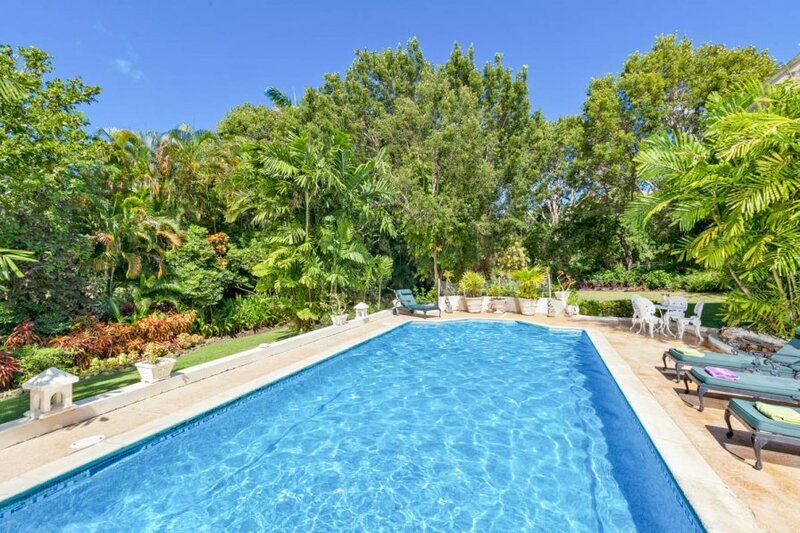 Nestling amongst an acre of lush tropical gardens, this exquisite villa is located on the exclusive Sandy Lane Estate. Guests will be blown away by the impeccably well-maintained exterior grounds…the villa's gardener takes great pride in ensuring this feature is a special part of Dene Court's visitors' stay.The villa includes spacious living and dining areas, as well as an extensive terrace overlooking the pool. A perfect location for entertaining and socializing! When entering the villa, its high ceilings are immediately noticeable. This allows much of the natural light that steeps into the villa to illuminate its common areas. The living area seamlessly blends into the poolside space, where you and your guests are likely to be spending much of your time. Dene Court is rather special, in that it possesses two Master bedrooms! The first can be found on the ground floor and has a private garden that is irresistible for a spot of early morning sun bathing. The upstairs part of the villa houses a Minstrel's Gallery as well as two other double bedrooms, of which the second Master bedroom has the luxuries of a private balcony and dressing room. If this is not enough, there is an additional fifth double bedroom on the ground floor which contains an en-suite bathroom and private terrace that overlooks the courtyard. A selection of brilliant staff are also at hand to help you and your guests have a great holiday, whilst staying at Dene Court. Dene Court is a 5-bedroom villa that can sleep up to 10-guests. This is a superb villa for those who will be spending much of their holiday by the pool, as the gardens are simply stunning! It truly is a unique Caribbean paradise!